Perhaps you’ve just built your dream home from terrific house plans that you purchased and you want to make it stand out to passersby on an evening drive or stroll. Or you want to make the most of evening entertaining and activities as you enjoy the outdoor living features you’ve incorporated into your new home. 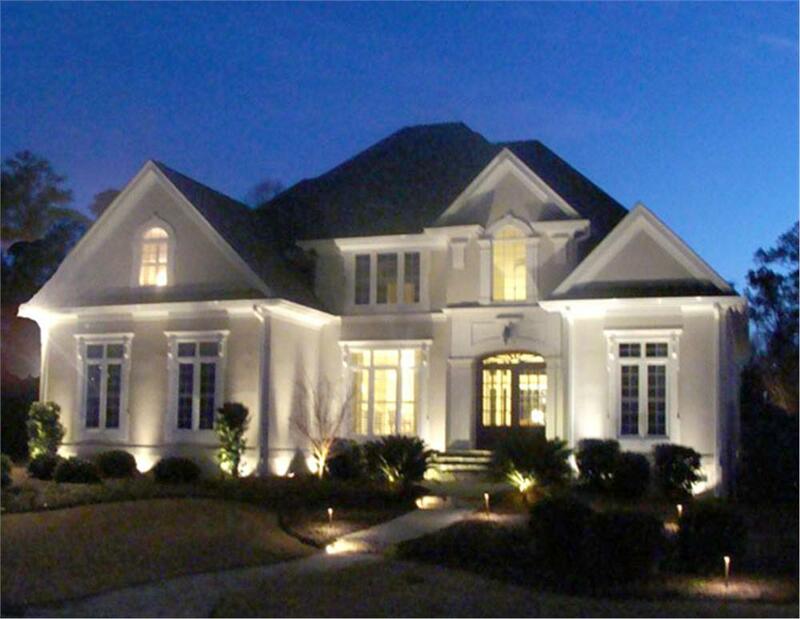 The key to creating the most spectacular nighttime street view of your dream home or the perfect evening mood for a patio – or adding the right amount of functionality to a backyard for night games – is good outdoor lighting. 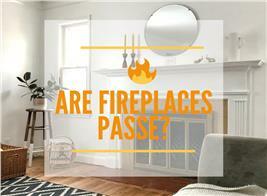 Well-placed fixtures and accents can completely transform any space, allowing you to achieve a wide range of effects. While it might seem as though implementing a new outdoor lighting design is a complicated process, it’s actually much easier than you might think. This guide covers everything you need to know about outdoor lighting to get you started on the right foot. Obviously, the term “outdoor lighting” refers to lighting that is outdoors, but it also implies several key differences in design process and materials compared with indoor lighting. 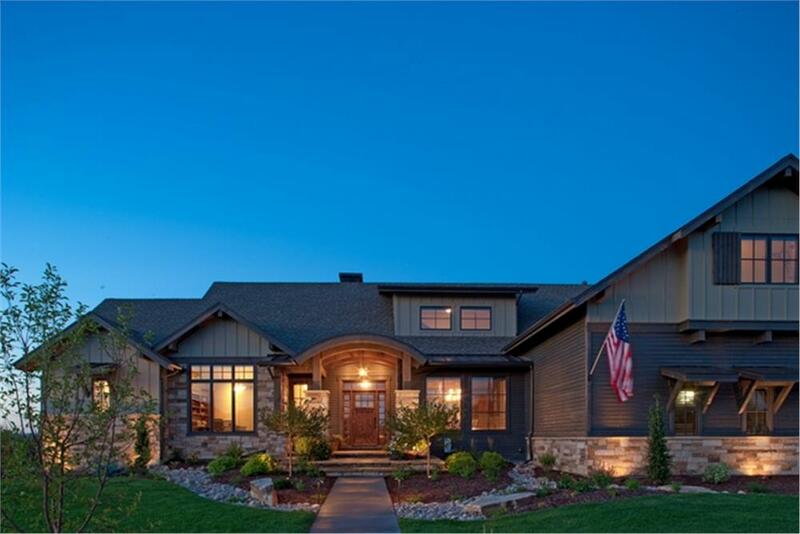 If your home is built to allow for ample outdoor living – with decks, pools, or big backyards built into the house plan – then outdoor lighting is what’s going to allow you to enjoy those spaces even when the sun goes down. 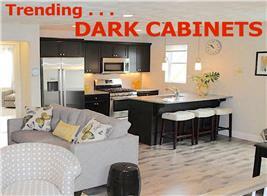 The beauty is that the specific ways you incorporate the lighting into your space is completely up to you. Outdoor lighting offers a greater deal of freedom in terms of design and effect compared with traditional indoor lighting. Some homeowners use overhead lights, either through strings or hanging lamps, to offer general illumination for more visibility and safety. Others use techniques called silhouetting or highlighting to add accents to the visual landscape, subtly drawing attention to elements of the landscaping, such as trees, topiary, or fountains. As with any other type of home-improvement project, you always need to begin with a clear end goal so that you can develop a cohesive plan. It can help to think about what you want to achieve with your lighting, such as more visibility for an entryway or reduced light pollution for your backyard. When you know what you want the end result to be, it allows you to work backward from there to figure out what types of lighting effects to use, the kinds of lights to obtain, and the amount of time you need for the project. One way to start is by evaluating the space in question and asking yourself what you’d like to do or see there. This helps you to visualize your ideal situation, and then identify how the lighting can help you achieve it. Keep the scope limited to a single area at first so that you can create the most effective lighting design, rather than trying to take on the entirety of your home’s exterior from the get-go. 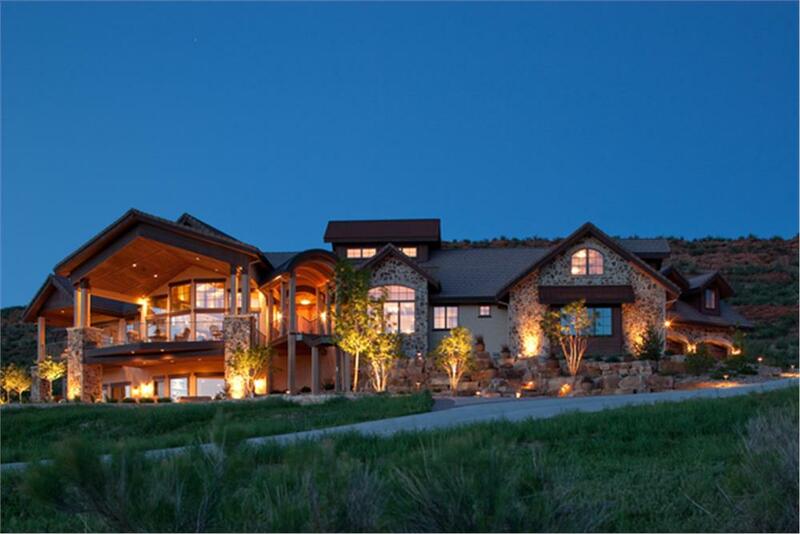 The owners of this 2-story, 5-bedroom European-style Country home plan (House Plan #161-1030) started with safety in mind, outfitting the entrance wall and door with bright lanterns to safely guide guests, while incorporating subtle down-lighting on the columns and corners for a decorative effect. They then integrated the down-lighting with up-lighting and wall-washing to create a unified whole, revealing the whole-house plan they intended. While you’re developing your outdoor lighting design, you should think about what impact it has on the safety and security of your space. It’s very common to use overhead floodlights to illuminate large yards or garage doors, as well as similar fixtures to provide more visibility to entryways and courtyards. It’s certainly possible to accomplish stunning looks and provide higher security through the same lighting, as long as you place the fixtures strategically and take the layout of your home floor plan into consideration. Wall-washing – using up- or down-lighting – is a great way to illuminate the exterior of your home while strategically adding more visibility to the areas you want to make more secure. Floodlights wash the courtyard of this 2-bedroom Country-style vacation home plan with light, creating great visibility for a reassuring sense of safety (House Plan #163-1052). One of the most important tips for outdoor lighting is to keep the overall design as balanced and unified as possible. 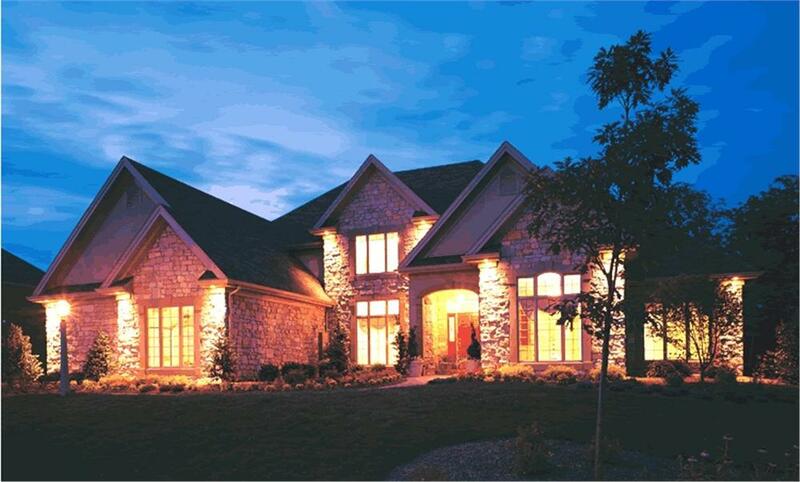 Nothing can ruin the look of your home, and the experience of your guests, more than disjointed lighting. An imbalance of harsh and soft light between areas can create unnatural divisions that segment the space, which can make the space feel smaller than it actually is. Not to mention that it will leave guests feeling disoriented to move between areas that are too bright or too dark compared with each other. Balance is also important for accent lighting, as it can quickly shift from delicate highlighting to uncomfortable spotlighting. Always use the lighting to create subtle definitions around your landscaping, rather than making any single piece feel like the focal point of the area. Whether you have a historic home or modern house plan, angled up-lighting or accenting from a hidden fixture will add a sense of mystery and elegance, while obvious spotlighting comes off as tacky and blunt. 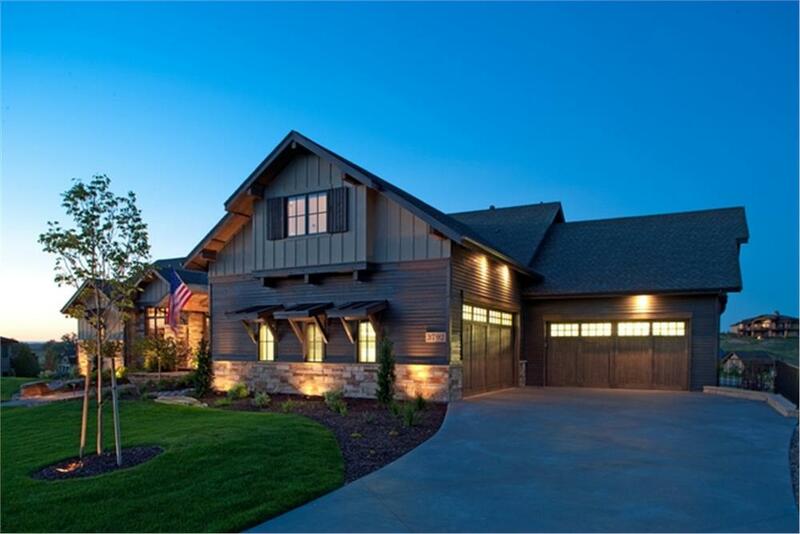 The subtle lighting design of this 5-bedroom Texas-style home plan – security down-lights at the garage, gentle up-lighting to call out the stone wainscot, and landscape lighting to highlight the small (for now) tree – creates an understated elegance (House Plan #161-1054). The same kind of understated elegance is displayed in the outdoor lighting plan of this 4-bedroom Arts & Crafts home plan (House Plan #101-1874). Note the up-light below the window at left in the image and the up-lights highlighting the stone column bases. The saying “variety is the spice of life” rings especially true when it comes to outdoor lighting because finding the right combination of fixture styles and placements is integral to achieving the best effects. For example, uniformly spacing path lighting up a walkway on each side creates a runway effect, making the area looking like an airport landing strip. Instead, stagger the lights in an alternating and asymmetrical pattern to add a more natural and classic look. As always, don’t overload a single area with too many types of lights, as this can create an unattractive hodgepodge feel to the space. Deciding when to hide your lights can be a tough call, since it depends heavily on the actual layout of your home plan and landscape and how you’re using the fixtures. For highlights, accenting, and shadowing, it’s usually best to obscure the fixtures behind landscaping elements to create a higher level of drama. When you’re using the lighting to provide more visibility to a space and want to achieve the greatest reach possible, then it’s usually fine to let the fixtures remain visible. 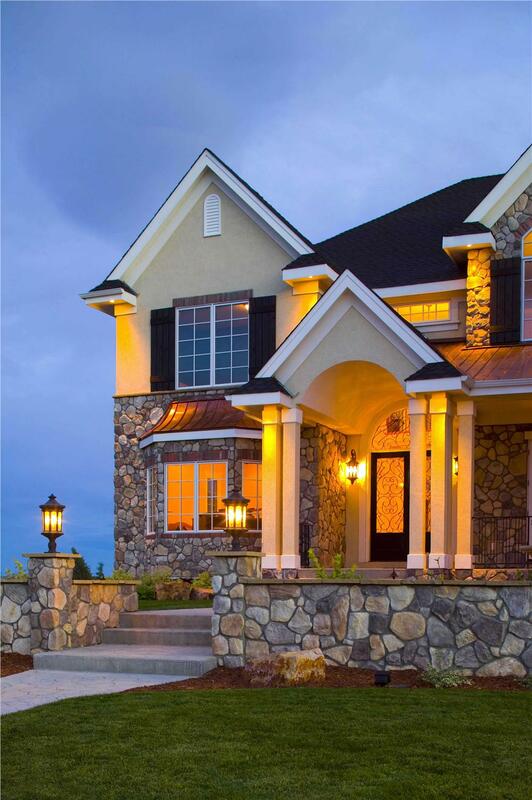 Though brightly illuminated with wall-washing light that accentuates the stone exterior, this 4-bedroom, 3½-bath European-style home plan hides the down-lighting in the soffits of the forward-facing gables (House Plan #120-1103). It’s easy to get caught up in sweeping designs and elaborate fixtures, but you have to remember that you’re not going to be the only one who can see the lights in your landscaping. Make sure that you don’t inadvertently shine any of your lights onto your neighbor’s property. When you take your full surroundings into consideration, you ensure that you will create the most considerate and effective lighting designs. 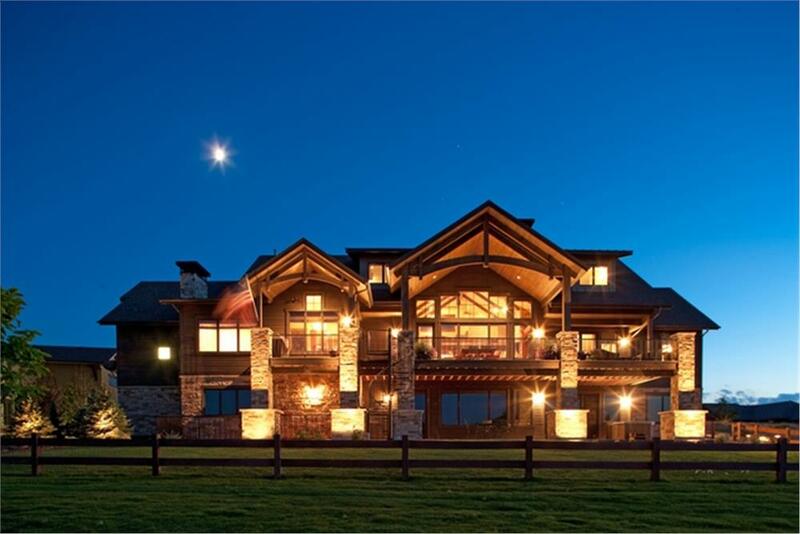 Looking for more outdoor lighting tips? 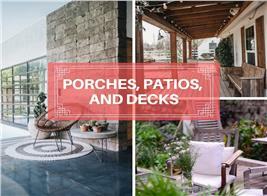 Be sure to check out our wonderful selection of outdoor living house plans for a healthy dose of inspiration. 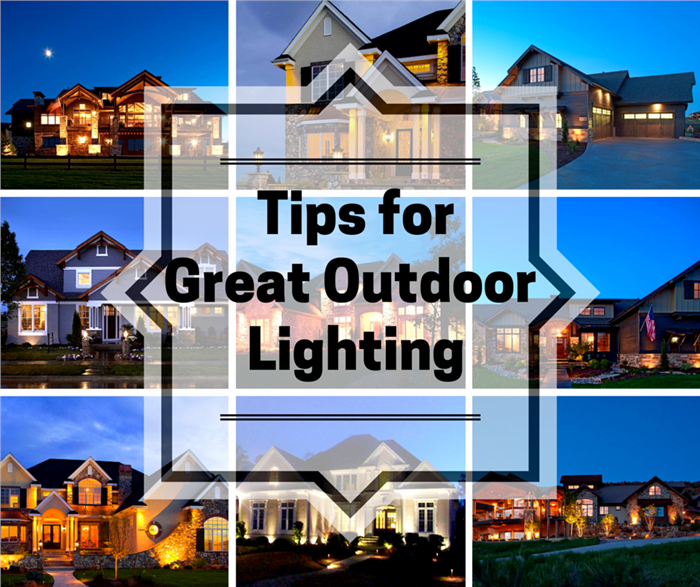 Don’t forget to share your best outdoor lighting advice and stories in the comments below.